Welcome to Day #6 of Chocolate and India Theme Week. 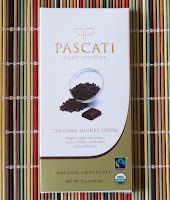 Today's 81% Dark Idukki, India bar was manufactured by Pascati Foods India LLP (Palgahar, Maharashtra, India). 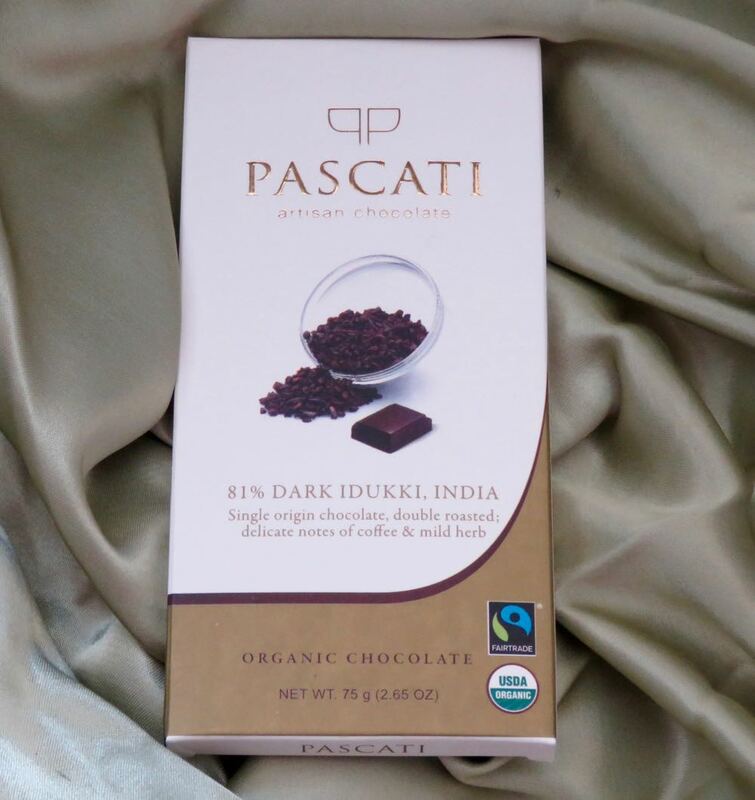 Like its sibling, the 72% Dark Idukki bar (featured yesterday), this darker 81% version had an aroma with green, dried fruit, slight earth and very faint spice/herb notes. The flavor* was similar to the aroma with green, fruit, green herb, and mild earthiness throughout. This bar possessed a balanced dark flavor profile without the bitterness or sharpness you might find in other high-percentage, ultra-dark bars. It had a creamy melt and texture, smooth taste, and subtle finish. 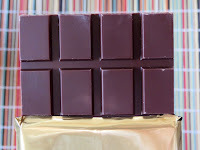 This organic bar contained/listed three ingredients: organic cocoa beans, organic cane sugar and organic cocoa butter. *This bar contained "added natural flavours;" and details concerning these flavors were not specified. Welcome to Day #5 of Chocolate and India Theme Week. 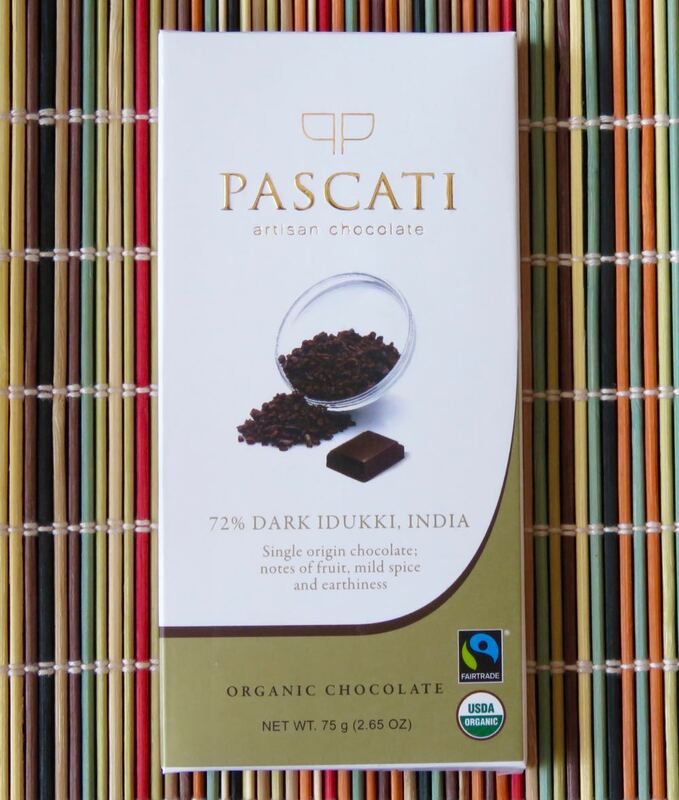 Today's 72% Dark Idukki, India bar was manufactured by Pascati Foods India LLP (Palgahar, Maharashtra, India). This bar had an aroma with green, dried fruit, slight earth and very faint spice/herb notes. The flavor* was similar to the aroma with green, dried fruit (golden raisins, goji berries), more green, and very mild earthiness toward the end of the tasting curve. 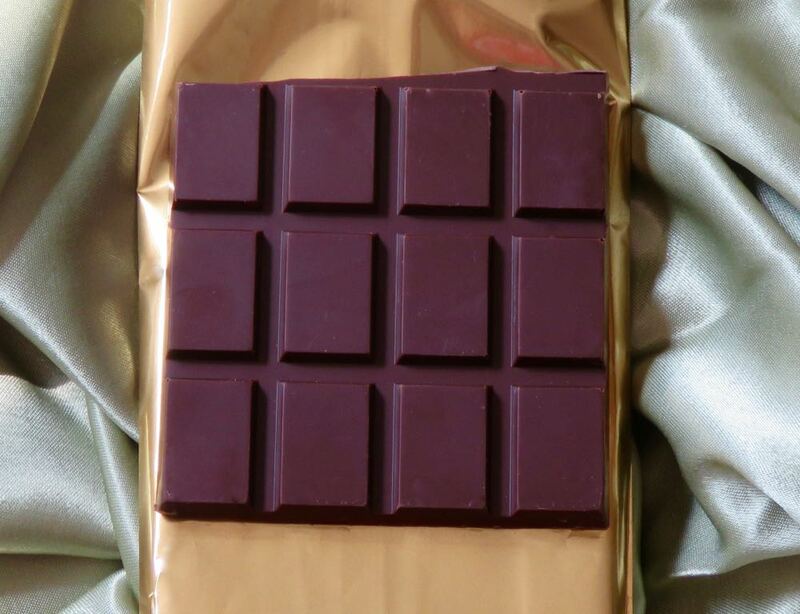 This bar possessed a rich, balanced dark flavor without bitterness or sharpness. It had an even melt and texture, smooth taste and subtle finish. 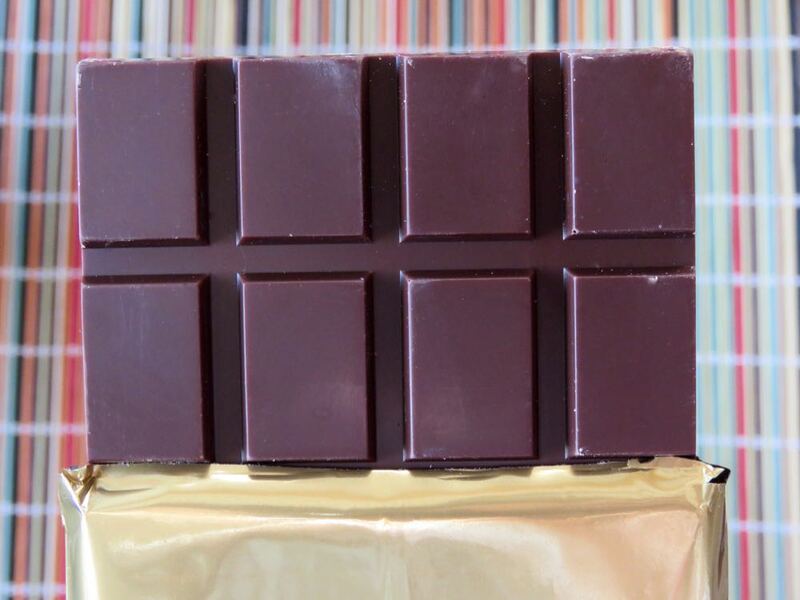 This relatively creamy organic bar contained/listed three ingredients: organic cocoa beans, organic cane sugar and organic cocoa butter. *This bar contained "added natural flavors;" and details concerning these flavors were not specified.